Creating a Portable Web: When your data is truly yours. How do you create content on the web? Perhaps you upload a photo album to Facebook or write a blog post on Blogspot. That content is your data, right? Kind of. The problem is, the content and accounts you create on the Web today are locked in a structure that’s been put in place by companies such as Facebook, Yahoo! and Google. They have your data in a silo. It’s still “your data” but much like rose bush in a walled garden, it can be very difficult to pull your data out with its roots, function and form in tact. For example, Facebook has its paws on your entire social graph- your photos, videos and communications between friends, family and acquaintances. As a company, Facebook has a great understanding of the social aspect of your life, at least online. While it has an API, Facebook is still the only company that can use that data to create compelling services on top of its platform. It opens up its social graph just enough to keep developers happy but to remain in control. Right now, Google+ is forcing you to re-create your social graph. It’s asking you all of the same information that’s on Facebook but for its own silo. Companies are competitive in this way. They don’t like to communicate. It’s why you can’t message someone on Facebook from Google+. The web is slowly maturing to become more portable, and a handful of companies are in the early stages of a new movement to create a more open web in which the user will have ownership of the content they create. The competitieve philosophy behind this movement is about creating the best services so the user stays with you, not so that you’ve trapped the user because you have their data. Ideally, this makes the web a more altruistic place where everyone can create services to reach a large population online. We interviewed two of these ambitious entrepreneurs, including Jaisen Mathai of Open Photo and Jason Cavnar of Singly. 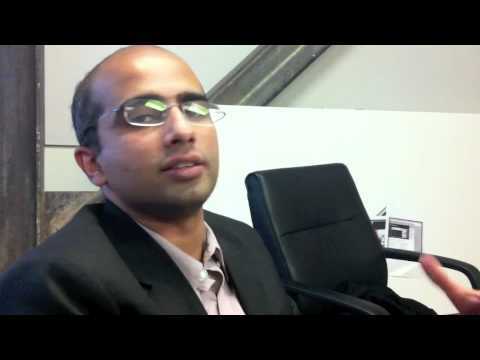 When software engineer Jaisen Mathai left his job at Yahoo! to pursue Open Photo – a top notch photo sharing service to disrupt all others – he first put the project up on Kickstarter to see if the idea would really resonate with people. Essentially, OpenPhoto is an open-sourced project with a hosted version (á la WordPress) that lets users store photos in their own cloud service, such as Amazon S3 or Dropbox, giving users complete ownership of their data. The Open Photo project was successfully funded on Tuesday of this week and raised over $25,000. “At this point I’m convinced that at least the early adopters are interested in this concept,” says Mathai. Open Photo will be a platform that lays out how your photos are stored, tagged, shared and specified and all of that data will be completely portable. And the best news yet? Open Photo is open-sourced on Github. CBM: Why wouldn’t Flickr do this? Jaisen Mathai: This idea of portable web services poses a conflict of interest for many companies. Flickr is the last company that I am wary of because you look at someone like Yahoo! and even Facebook and they’re companies whose primary goal is making revenue. It’s very difficult for Yahoo! to say ‘Here are all of your Flickr files in a usable format with your albums and comments intact’. Letting the user actually have that control is scary when the entire history of the company has been focused on monetizing from having the keys to the user’s content. It’s a huge paradigm shift for Yahoo! to shift its model. Meanwhile newer companies don’t have that historical perspective and baggage. They’re giving the user the key and building sustainable business models that can be wrapped around it. CBM: What sustainable business models do you have in mind for Open Photo? JM: At Open Photo, I will be the first app developer to build an app on top of this platform. The platform will include a specification that allows people to have photos that they can upload, tag and comments on that can be used across different services. Also, part of the platform will be to create a service that allows people to upload photos into their own cloud storage spaces such as Amazon S3, Rackspace or Dropbox. Ideas for monetization could be creating an Instagram like service on top of it, or perhaps a service for professional photographers to sell prints. There are so many small, niche monetization areas one could focus on. How about creating a mobile application for bloggers around Open Photo? Any enhanced, additional add-on could have a monthly cost associated with it. CBM: Will Open Photo put a lot of other services out of business? JM: I hope that it does. And I welcome other services to put me out of business. I want there to be so much competition so we can use the best services. In this environment, the primary competitive factor is: I have to compete against this. The ‘chicken and egg problem’ goes away when the actual data is something the user can bring to you. Therefore, Open Photo has the potential to disrupt a lot of existing photo services. I’m creating something and inviting other people to really compete against it in a pretty open manner. I want to and I believe I can provide the best service. CBM: How will someone like my father who deeply cares about his personal data but is unfamiliar with personal cloud services learn to use and love your product? JM: Right now, there’s a little bit of a learning curve. But services like Amazon S3 and Rackspace both have plans to implement OAuth, so sign up will becomes less scary. There will be a simple signup screen on Open Photo where you can login with your Amazon account, OAuth-style, and then you’re redirected back to Open Photo and ready to go. By the time your father is interested in using Open Photo, there will be much less friction to do so. Down the road, having that simple linking is going to be trivial and for early adopters it’s not that big of a stumbling block anyhow. A user may not care about Amazon S3 but they do care about their data. Ultimately the goal will be to get cloud services companies really interested in what Open Photo is doing. Singly‘s Locker Project is an open source effort by developers to make it easy for a person to access the information they have contributed to the various services and websites they use, get a copy of it, and store that data wherever they feel is most secure and safe. This could range from their social data to financial data, browsing history, health devices and more. “There’s a meaningful amount of information we leave about ourselves across the web and we believe strongly in the idea that putting that information back in a person’s hands can enable them to do things that just aren’t possible today,” says Jason Cavnar, co-founder of Singly. Singly’s three founders- Cavnar, Jeremie Miller (who created the open-source instant messaging protocol XMPP) and Simon Murtha-Smith were each working on applications in 2010 that would make it easier for people to quickly access, search and filter through their social data. The three spent a lot of engineering time just trying to get people’s data into one place and make it reusable in meaningful ways. “It became a technical hurdle that was constrictive to each of the startups we were working on. We were convinced that more and more applications and web services would want more data about you to give you better user experiences and unlock value. The idea of bringing together more and more APIs felt, and continues to feel, inherently inefficient,” explains Cavnar. Together the three unearthed an idea to crowdsource the engineering manpower needed to change the forthcoming generation of portable web applications. Cavnar says most companies in the social media space recognize that a person who creates data has an inherent right to a copy of that data. In fact, he says there seems to be little dispute on that across the industry. But it’s clear that some companies such as Facebook don’t make as much of an effort as they should to allow their competitors, specifically Google, to access that data. One such company is Google, which perhaps has more data on our human population than any other company in the world. There shouldn’t be an additional charge to export your data and it shouldn’t take hours to get your data out. DLF’s first product Google Takeout lets you take your data out of multiple Google products including Buzz, Contacts and Circles, Picasa Web Albums, Profile and Stream, in one fell swoop in portable and open formats‚ so it’s easy to import to other services quickly. Other notable companies working in this field include The Salmon Protocol, which aims to define a standard protocol for comments and annotations to swim upstream to original update sources – and spawn more commentary in a virtuous cycle; Status Net, a Twitter alternative that federates the data so you can do what you want with it; and OStatus, an underlying protocol which makes communications between StatusNet and other sites work seamlessly. All of the projects listed above are open-sourced, which is a fundamental part of the portable movement. The first step is to democractize a user’s content and let them own it. “It’s saying we choose not to be the gatekeeper,” says Open Photo’s Jaisen Mathai. These are a group of entrepreneurs inspired by open communication and the ability for people to connect with one another directly. They strive for a society in which humankind may grow through that free flow of ideas, communication and common experiences.